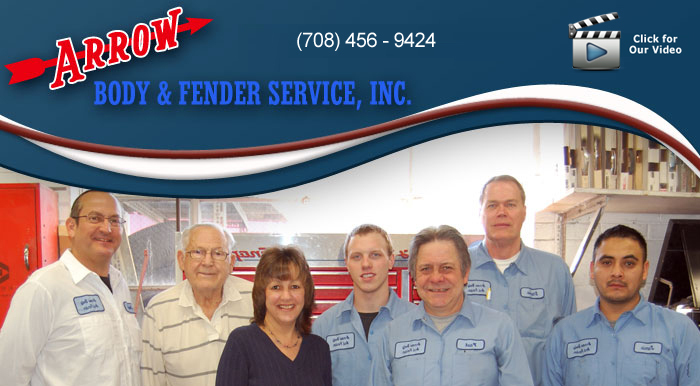 Since 1948 Arrow Body and Fender Inc. has been a local, family run business. When you come to us, you are getting generations of experience. Joe Sr. worked with his father after returning from the war at Bellocchio Salt and Trucking - before starting Arrow Body. When the family car became a necessity, Joe Sr. saw a need for quality repairs. You think we have bad drivers now – imagine what it was must have been like then. We specialize only in collision repair – we won't try to sell you an oil change. We can do them – but our specialty is collision repair. Joe Jr. worked for years as an insurance appraiser. His experience in dealing with insurance companies can save you a lot of time and money. Our state-of-the-art facility and certified technicians will treat you like family. Our policy of continued education for all of our staff, along with stringent part inspection - form the foundation of our work ethic. The use of only top of the line products ensures we maintain the quality craftsmanship the community has come to know and trust. Our written lifetime guarantee backs it all up in writing. We look forward to welcoming you as a new member of the family. 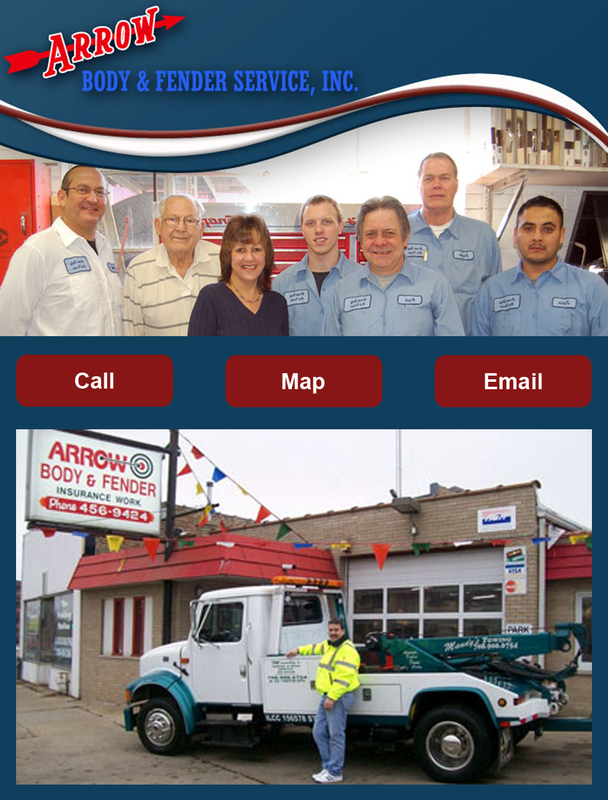 Arrow Body and Fender has been providing years of complete collision auto repair since 1948. We like to use new OEM car parts and have a chromavision colorscanner on premise for precision auto painting to get your car back to looking new. We also provide affordable towing to our auto body repair chicago shop. Call us today for insurance quotes and estimates. We prefer to use new OEM car parts when performing your collision auto repair. We also offer affordable towing and top quality auto painting to get your car back to looking new. Call our auto body repair chicago for insurance repairs and estimates.